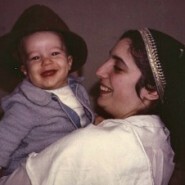 Today marks the 25th anniversary of the untimely passing of my mother, Sandra Cohen. She died from an aneurysm at the young age of 44. I miss her deeply as do my siblings, father, family and friends. 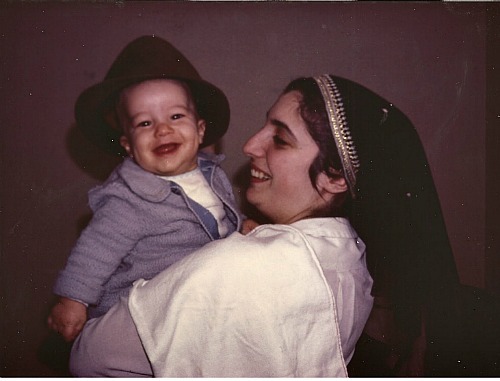 Rabbi Cohen as a baby with his mother. Yet, although time marches on, she feels close to me every day and I sense her presence all the time. Last night, I had a dream which reminded me of why she remains so much a part of me, of Diane and our girls, and of my life. When I was a child, my parents sent me and my siblings to a sleepaway camp in the Catskills. Almost every summer, we packed the car and my dad drove us from Atlanta to New York. Although I enjoyed camp for the most part, it was hard to be so far away from home and I was homesick. I was only allowed one call home on visiting day. My only communication with my parents was through letters. Last night, I dreamed of the joy in opening up a letter from my mother. She would write almost daily just telling me about her day. I can see her neat handwriting, the opening “Dear Dani” and the closing “Love, Ima” She would often add a smile. Those letters transcended space and I felt her warmth and love hundreds of miles away. She knew I needed a hug and she was there for me. 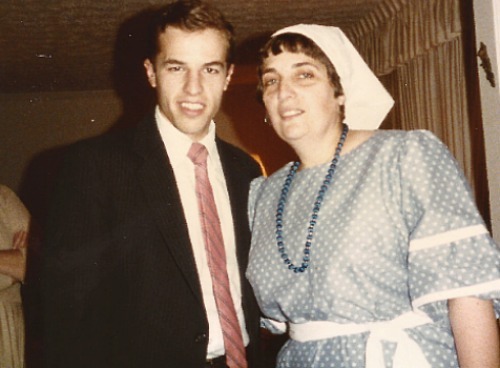 Rabbi Cohen with his mother as a young man. Today, as my family remembers her, I know that she lives in us because of her love for us. I will never forget her optimism, her smile, her love of Torah and the spirit of our home. We are so blessed. I still cannot believe she is gone and I pray every day for strength but I know she will be by my side now and forever. I love you, Ima, and may your soul be a source of blessing and bound in the bonds of eternal life. Rabbi Daniel Cohen serves as the Senior Rabbi are Congregation Agudath Sholom in Stamford, CT. He is in the midst of writing his first book and contributes for the Huffington Post. You can learn more about him by visiting www.rabbidanielcohen.com. He and his wife Diane are the grateful parents of six daughters.